Fast, light, and powerful: that’s the core of our download technology. 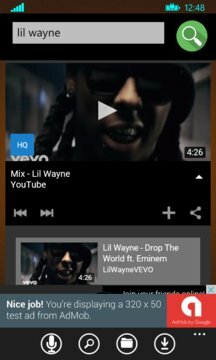 MP4 Video Downloader is a powerful, fast and Easy-to-Use Windows Phone app to download all mp4 videos from Internet. Once you download all videos, you can watch them, ANYTIME ANYWHERE without worrying about internet connection! It supports major video sites,you can download all your favorite videos and share with your friends. ▶Support all video formats such as MPK, AVI, MP4, MKV, FLV, WMV, MPG. ☆To get the best performance with our downloader app and avoid running up your data charges with mobile download, we recommend taking advantage of Wifi-only mode whenever possible. MP4 Video Downloader is the best tool for you,let’s enjoy it! We apologize that our downloader app does not support Youtube videos due to their terms of service. 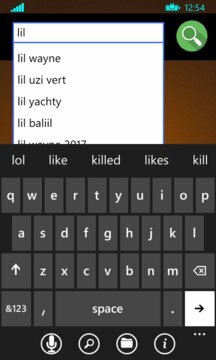 Our app can let you search, download and save videos from other mainstream video websites. Please forgive us and don’t rate us with one star because of Youtube. Thank you very much!